The WBCT is accessible from the time a ship is scheduled to arrive until the scheduled departure time. Entry to the terminal is from James Craig Road, Rozelle. A public access map for cruise ship passengers can be found here. Passenger set down and pick up are available in the terminal precinct and short-term parking for those passengers with a valid itinerary is available on-site. 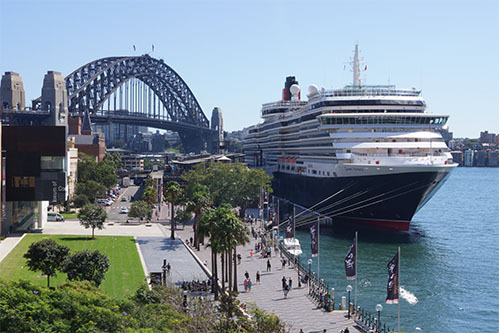 A Captain Cook ferry and park and ride options are available on cruise ship days from the city (King St Wharf, Barangaroo) to White Bay. 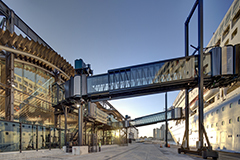 Passengers arriving from cruises will reclaim their luggage and clear Customs, Immigration and Quarantine inside the WBCT before exiting the building. A taxi rank is located onsite which has a dedicated area for picking up cruise passengers. Passengers departing for cruises should refer to their itinerary for check-in times at WBCT. Bag drop facilities are available prior to check-in time on cruise days and is located adjacent to the terminal entrance. Please check with your cruise line for operating times. Entry to the terminal leads directly to the dedicated check-in hall. Once checked-in, you will head to the departure area where you will be processed by Customs and Immigration and undergo a security screening. 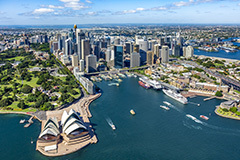 International cruises will be greeted by friendly Sydney Destination Ambassadors who can provide local directions, sightseeing and public transport information. A café is open prior to checking in along with an ATM and public payphone. 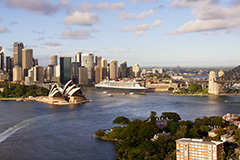 Duty free facilities are not available in the terminal precinct though purchases can be made on-board the cruise ship. Passengers should be aware there is no Post Office or foreign exchange facilities available at WBCT. White Bay Cruise Terminal is closed on non-ship days.